Sundre Credenza with frosted glass fronted sliding doors and open centre section. The centre section can be fitted with hinged doors or twin drawers. A limestone top can be ordered as an option. 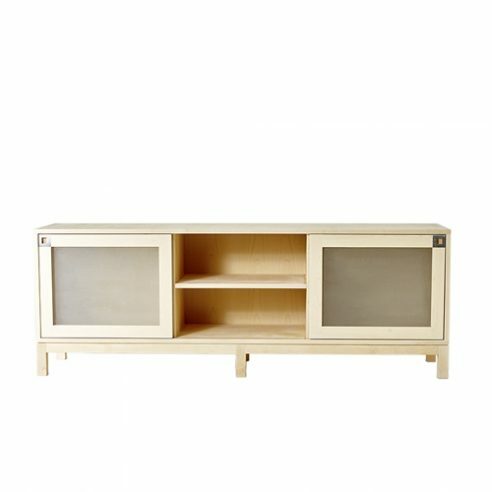 Sundae is produced in birch and each cabinet comes complete with doors and central shelf. Drawers when specified are constructed using half blind dovetail joints the front panels of which are finished to match that of the sliding door frames.